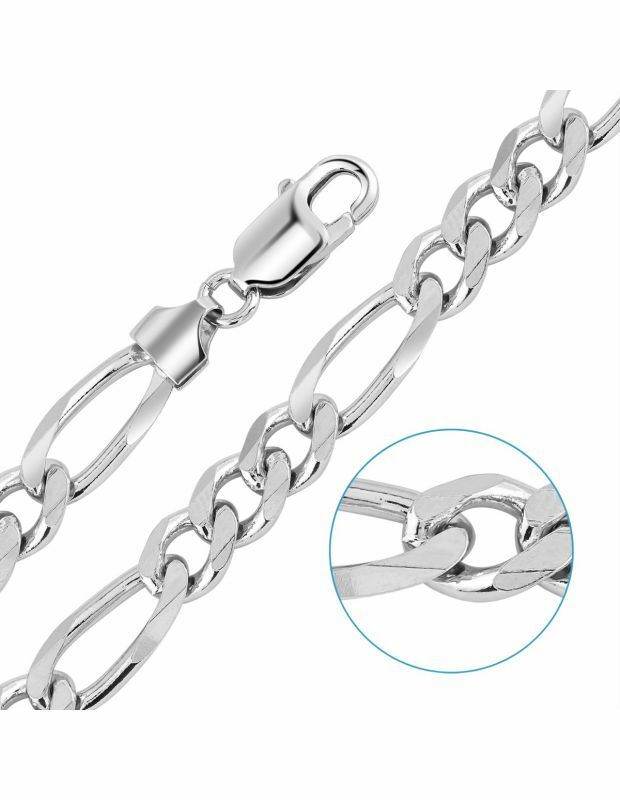 Our Sterling Silver Figaro chain collection highlights this timelessly classic style of chain link formed with two diamond cut curb links and one elongated diamond cut curb link. 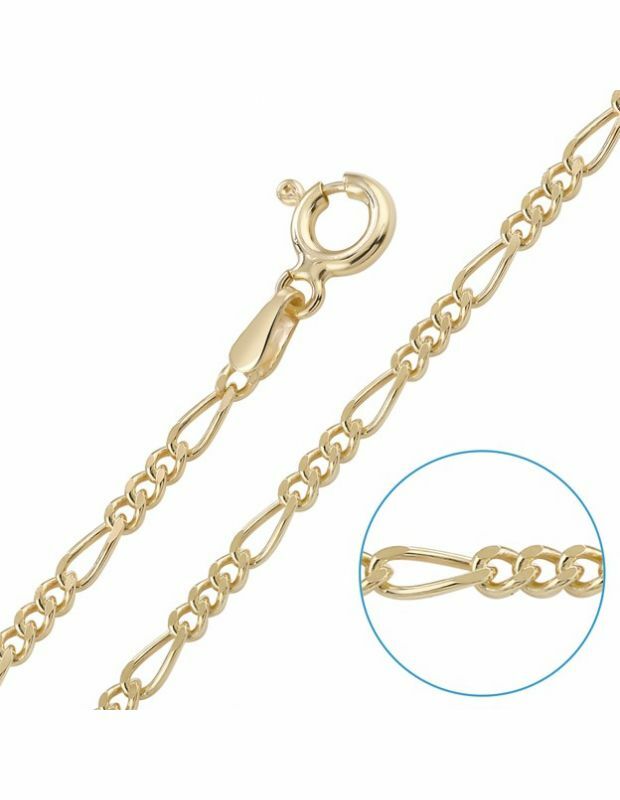 A durable yet simple style of chain makes it ideal to wear daily and hold pendants of medium to heavy weights. 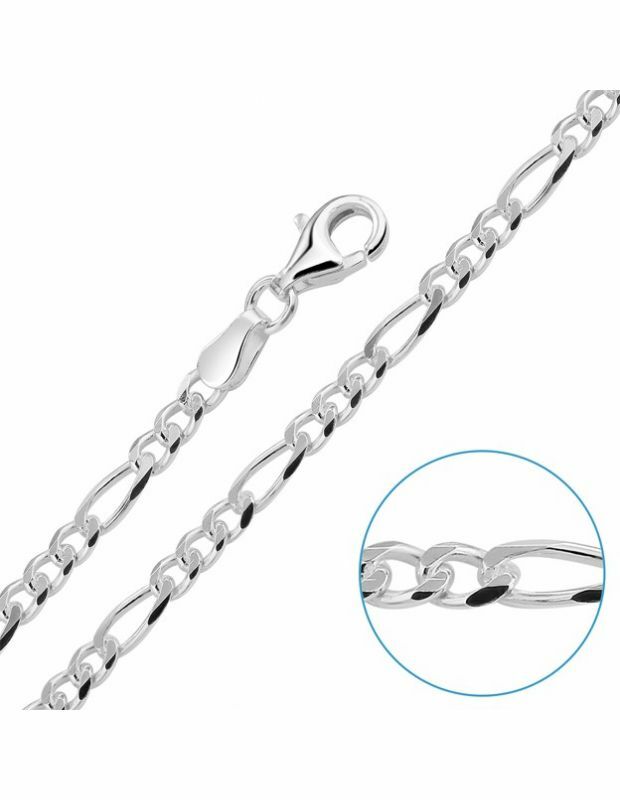 With link widths from 2mm, 3mm, and heavier 5.7mm & 7.6mm widths and lengths from 14" to 30" inches you can opt for a length that fits comfortably and matches your style, with suitable variations for all Men, Women and Children. 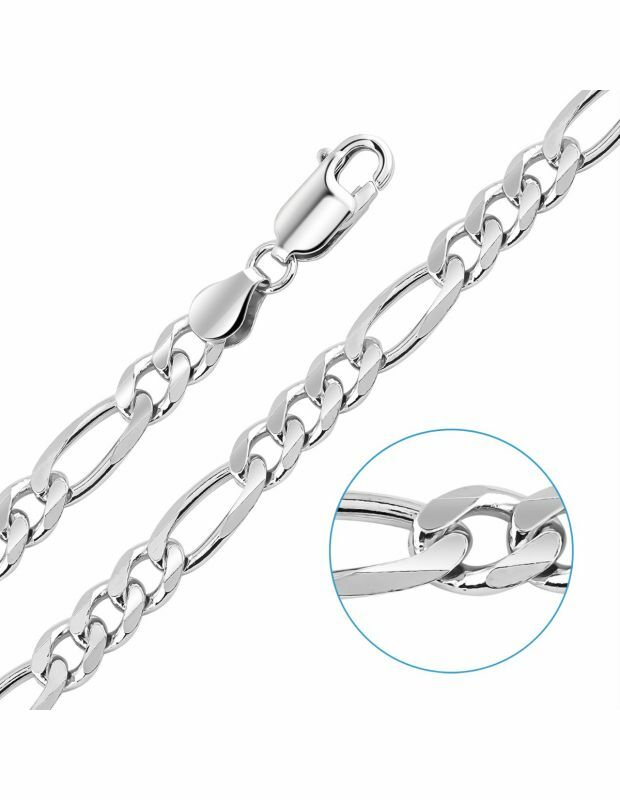 Our collection of Sterling Silver Figaro Chain necklaces all feature precise diamond cutting to subtley catch light and transcend an everlasting sparkle. 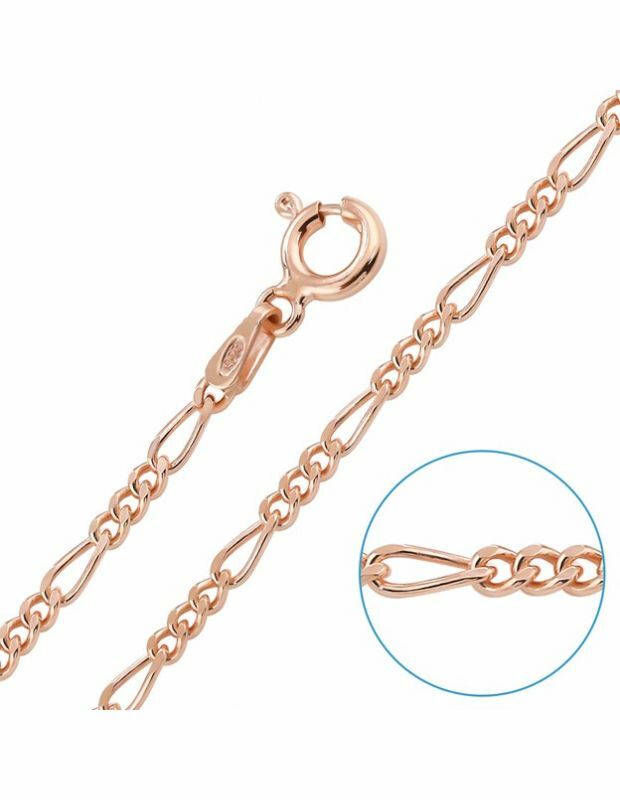 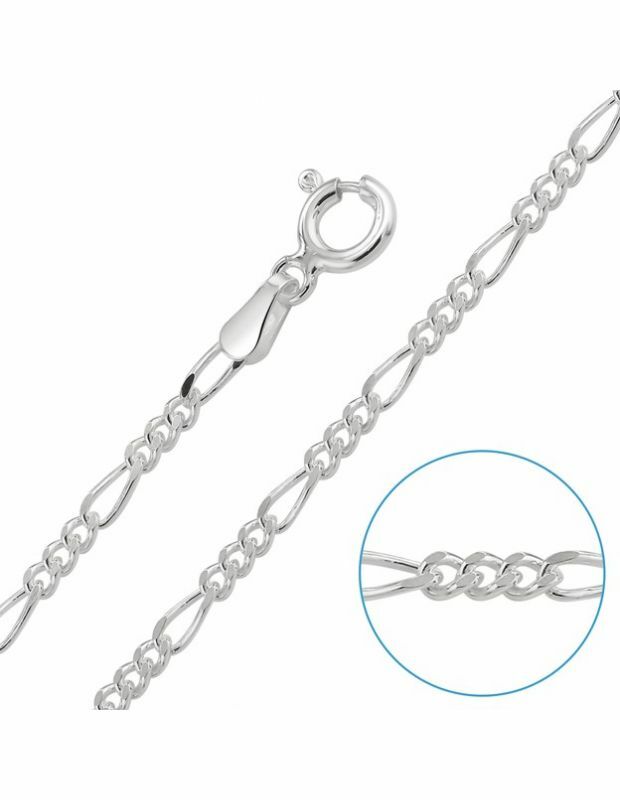 For those special moments or to match existing jewellery or watches, our Sterling Silver Figaro chain is also available to buy with a luxurious thick 1micron plate of 9ct Rose Gold or 9ct Yellow Gold finished plated on Sterling Silver and caringly packaged with our signature gift box as standard.